The UK Government has said that it will not be creating a public registers of beneficial ownership but has said that it is satisfied with moves taken by its Crown Dependencies to establish their own registers. The UK Government said that it has highlighted and welcomed the moves taken by Crown Dependencies to establish their own registers. In its written response to the House of Commons International Development Committee, the government said that it thought that the Overseas Territories were already on a path which “puts them well ahead of many of our major international partners including financial centres such as Delaware”. The government ruled out the need for a public register stating that a central register that is seen by relevant regulatory and professional bodies is sufficient. 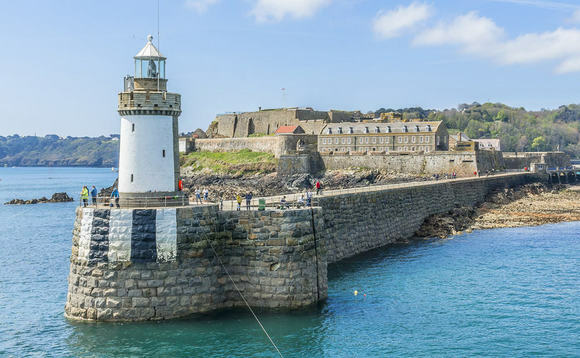 Guernsey Finance, the promotional arm of Guernsey’s financial services industry said that it is pleased with the positive reaction to its moves towards “transparency and fighting money laundering and terrorist financing” and that there is no need for a public register. A spokesperson for Guernsey Finance since told International Investment that its plans comply with FATF Recommendations 24 and 25 on transparency and beneficial ownership of legal persons and legal arrangements, reflected also in the EU 4th AML Directive. [image_library_tag 6bc27d49-6a3c-4664-8718-46733d2fcd89 300x169 alt="Dominic Wheatley, CEO, Guernsey Finance" title="" width="300" height="169"class="alignleft size-medium wp-image-39610 "]Wheatley, pictured above, and left, speaking at last year’s Guernsey Funds Forum, said the establishment of a central register of beneficial ownership is something to be championed rather than focussing on the fact that it will not be available to members of the public. He echoed the UK Government’s stance, pointing that Guernsey is “well ahead of most International Finance Centres”. In December the Guernsey International Finance Centre was chosen as its host for a Central Register of Beneficial Ownership with local government officials committing to having this operational from 30 June 2017. “Guernsey is well ahead of the pack with work done to set up a secure register which provides peace of mind for clients while making appropriate information available to competent authorities,” he said. “In its response to the Committee, the UK Government pointed out that such registers “will prevent criminals hiding behind anonymous “shell” companies, and marks a significant increase in the ability of law enforcement authorities to investigate bribery and corruption, money laundering and tax evasion,” added Wheatley. The moves towards an increase in global transparency regarding offshore investments followed last year’s Panama Papers controversy following the massive data leak from Panama law firm Mossack Fonseca and has, as reported, seen a raft of changes with many countries committed to sharing information and creating their own beneficial ownership registers.